Land consolidation (LC) can be defined as the reorganization of the land in accordance with the developing agriculture technology. Reallocation studies, which are the most important stages of land consolidation projects, are the most complex part of the project. At this stage, while the reallocation plans are being drafted, the law requires that first of all the landowners are asked about where they want their lands after consolidation, and land owners (enterprises) are placed in predetermined blocks in accordance with requests. 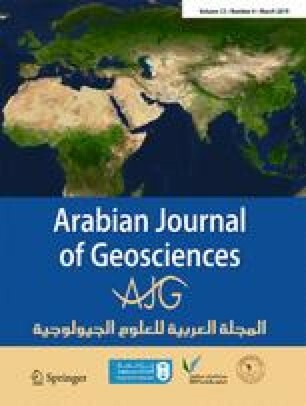 In the study, a new computer-aided hybrid reallocation model based on optimization techniques has been developed that can make the reallocation phase of land consolidation projects without any manual intervention. Reallocation results based on the hybrid model have been compared with interview-based reallocation results used in practice. The hybrid reallocation model is more successful in terms of the number of parcels, consolidation ratio, average parcel size, number of parcels per operation, enterprise satisfaction, production duration, and cost of reallocation. • The hybrid method of land reallocation is automatic. • Hybrid method is more successful than other methods available. • Hybrid method is quite advantageous in terms of time and cost according to the conventional method. • Hybrid method is self-adaptive according to the project in the proposed method. • The proposed method can be used in different land consolidation projects. This paper has been prepared by benefiting from the inventions of the project whose number is 114Y608 which supported by TÜBİTAK (The Scientific and Technological Research Council of Turkey)—TURKEY. Taszakowski J, Janus J, Glowacka A, Bozek P (2017) Development of agricultural transport road network in land consolidation works, engineering for rural development, DOI: https://doi.org/10.22616/ERDev2017.16.N097. Trystula A, Konieczna J (2017) Land consolidation in crisis management. Engineering for Rural Development, DOI: https://doi.org/10.22616/ERDev2017.16.N281.